ZO RESTORACALM Soothing Recovery Creme is a skin cream made with ingredients such as plant stem cells, silk amino acids, retinol, and herbal extracts. This skin cream can help calm and soothe sensitive and irritated skin, reducing redness and flakiness after a retinol or other treatment. 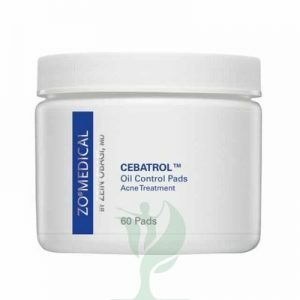 Doctors such as plastic surgeons and dermatologists may recommend ZO RESTORACALM Soothing Recovery Creme to their patients who have sensitive, weak, or compromised skin, or any skin type. This soothing cream can help skin recover from retinol treatments which cause skin irritation, it can help reduce the severity of retinol treatments, or on its own the cream can help soothe flaky, red, irritated skin. 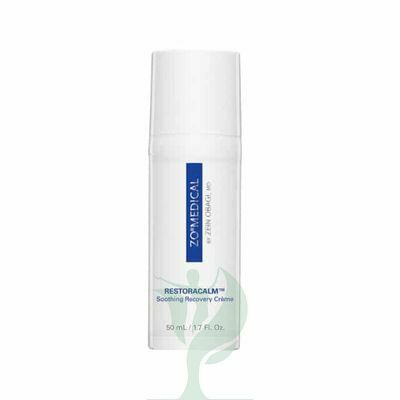 ZO® RESTORACALM™ SOOTHING RECOVERY CREME contains ingredients such as beta-glucan, which rapidly soothes skin and reduces the appearance of redness, and buddleja plant stem cells, which calm irritated skin and offer antioxidant protection to protect skin cells from free radical damage. Hydrolyzed serecin, which is an amino acid normally found in silk, helps support the production of hyaluronic acid and collagen, restoring moisture and strength to skin. Even while calming and soothing skin, ZO® RESTORACALM™ SOOTHING RECOVERY CREME uses red ginseng extract to help support cellular growth and renewal, and retinol to help stimulate skin renewal. Together, these ingredients help to calm, soothe, and moisturize skin while supporting skin rejuvenation.